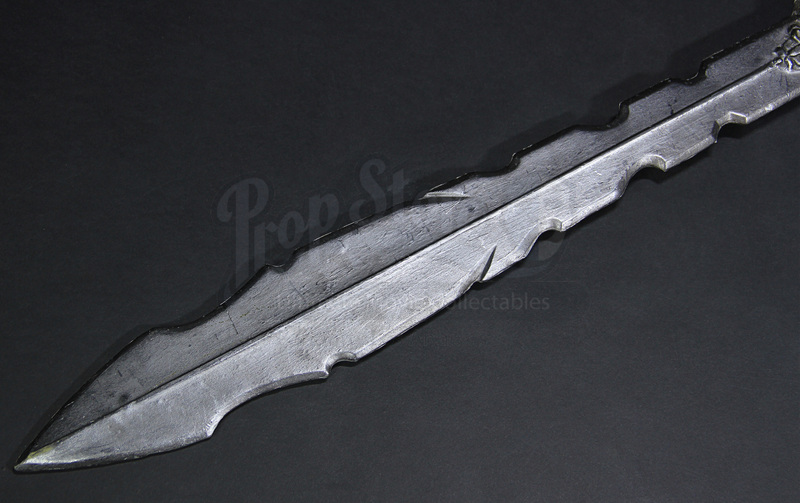 A prop sword used in Simon West’s 2001 action movie Lara Croft: Tomb Raider. Lara Croft (Angelina Jolie), faces off against the Illuminati’s Manfred Powell (Iain Glen) and old friend Alex West (Daniel Craig) as she goes in search of an ancient weapon of unimaginable power – the Triangle of Light. 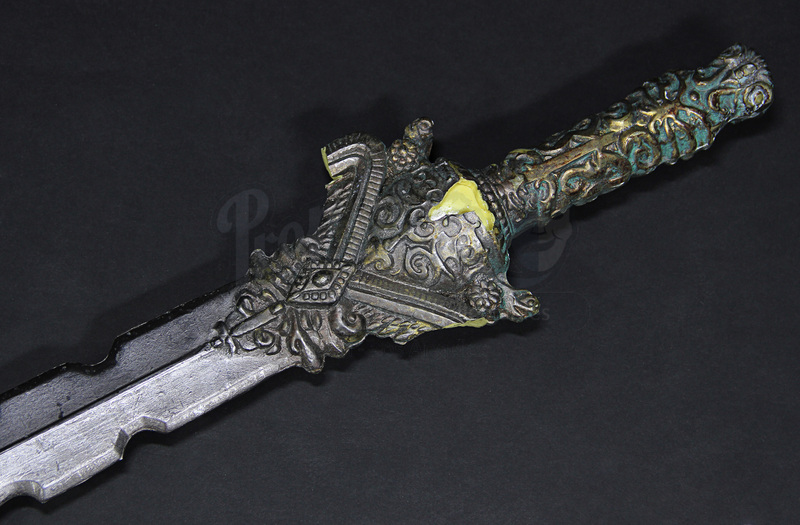 This sword and others like it were used for combat scenes within the Cambodian tomb holding the first half of the Triangle. Such swords were held by the massive temple guards before they come to life and attack Croft, Powell, West and the other tomb raiders. 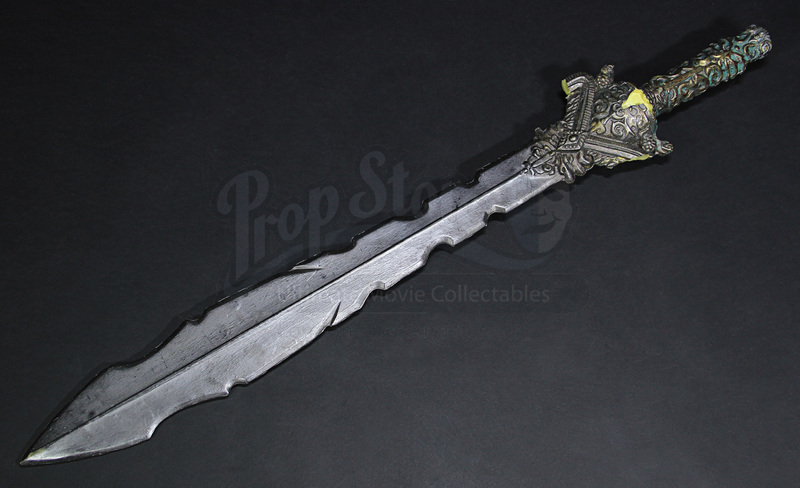 The sword is made of resin and filled with expanding foam to keep it lightweight while in use. 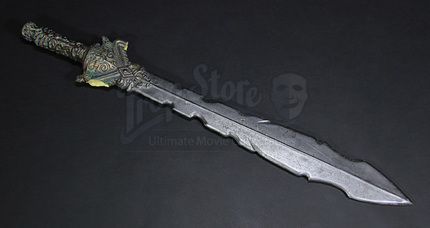 The sword features ornate detailing across the grip which has unfortunately been damaged through use, with the guard’s arms and the pommel no longer present. 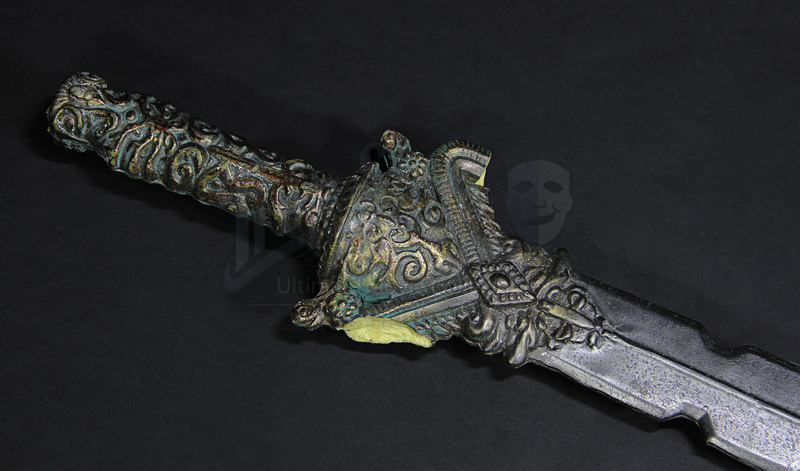 The paint finish is intended to mimic bronze and steel with additional intentional wear to give it the look of an ancient artefact, with some wear from use and time spent in storage. 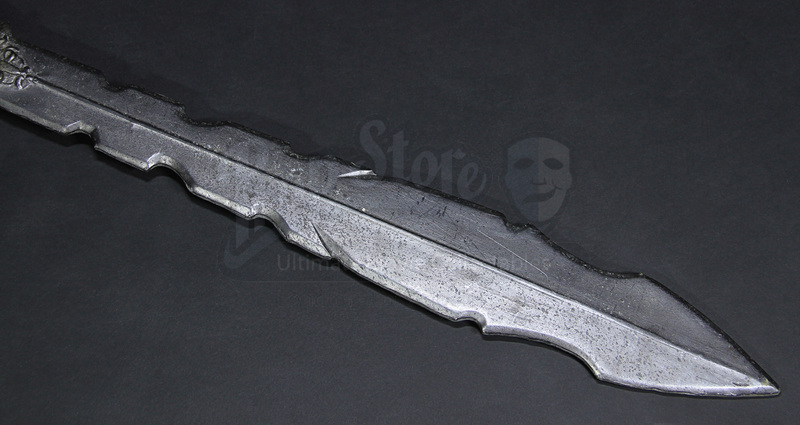 In spite of the damage to the weapon, the sword remains in an overall fair production-used condition.